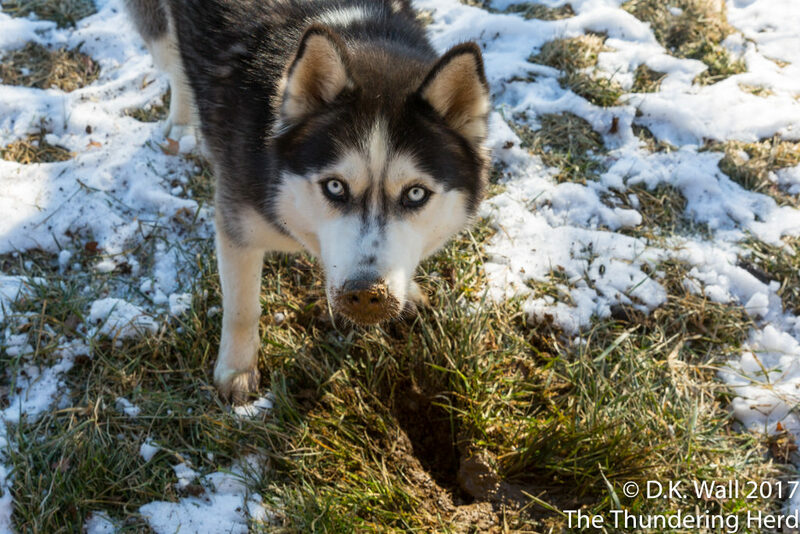 Like a Hardy Boys or Nancy Drew book, the Hu-Dad had to solve the mystery of the muddy snouts yesterday, though he said the case was elementary. Our temperatures actually went above the freezing mark, allowing some of our snow to melt and “soften” the ground underneath. Hu-Dad noticed that Cheoah and Landon seemed to be very focused on snuffling something in the ground. He stepped out to the deck, cleared his throat, and asked the two of them what they were up to. The two pictures in today’s post was the innocent looks on their faces claiming not to be up to anything at all. Just sniffing the ground here, Hu-Dad. Of all the things dogs do, this is one of the few that I never understand and always annoys the crap out of me! Well, not just dogs….kids…etc. I understand it in some animals cases, but it just freaks me out every single time lol. 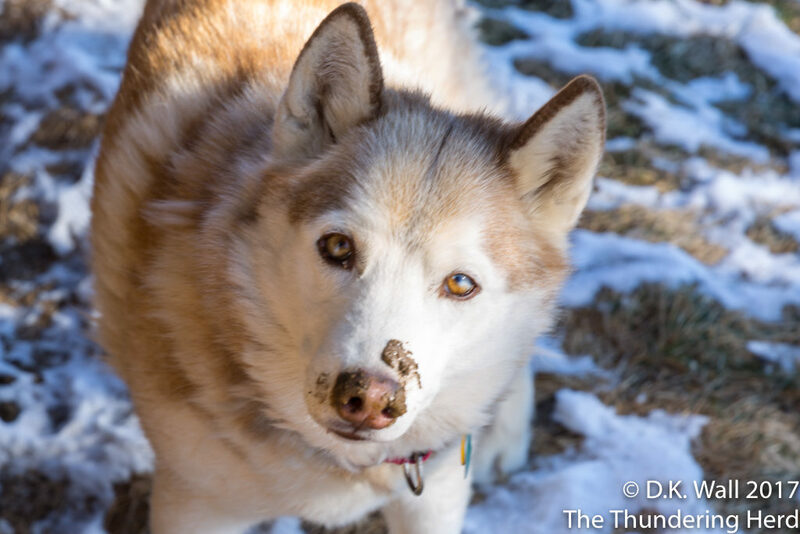 Who knows this could be the next big trend… mud masks for dogs. That’s a beautiful picture of Cheoah, especially her eyes.